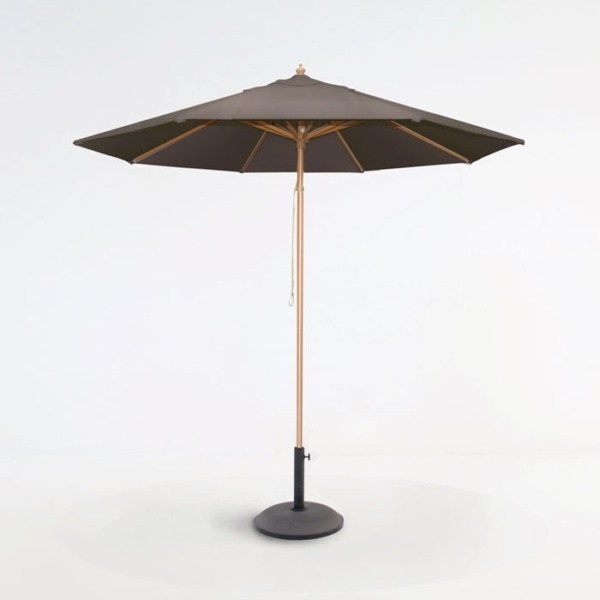 This high quality Sunbrella® market umbrella is now available at wholesale prices with a Sunbrella® fabric canopy in taupe, aluminum poles with a teak finish and an easy pulley system. 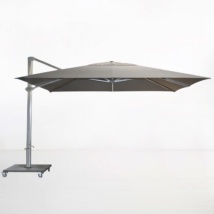 The overall height of the Taupe Sunbrella Umbrella from ground to the top of the canopy is 109”, this includes the height of the base. 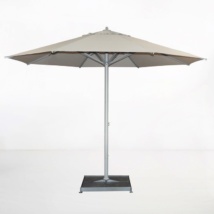 The umbrella base shown is sold separately, and it is not included in the price. Please call if you have questions about choosing an umbrella base. The Sunbrella® Umbrella in Taupe is a stylish patio umbrella. A classy addition to your outdoor patio. Warehouse prices, shop today.